Historians have been slow to include computer simulations into their discipline’s methodological apparatus. This chapter details the challenges faced when trying to employ simulations for historical research. Central to this is the idiographic character of historical research, which leads to problems regarding computer simulations and validation. Historians are concerned with the unique, with distinct historical processes, whose ultimate result is known. They do not formulate general laws or rely on deductive-nomological approaches. But this should not keep historians from exploring the potentials of computer simulations to the full extent: Big-data projects may help to dissolve the nomothetic-idiographic divide, microhistorical research may profit from simulations for contextualization or to compensate for fragmentary sources. In all cases, validation has the potential to make historians reflect more on evaluative assumptions, and on the ways, they pose questions and explain processes. gespielt.hypotheses.org (2017). Manifest für geschichtswissenschaftliches Arbeiten mit Digitalen Spielen! Version 1.1. Retrieved from http://gespielt.hypotheses.org/manifest_v1-1. Guldi, J., & Armitage, D. (2014). The history manifesto. Cambridge, UK: Cambridge University Press. Retrieved from http://www.cambridge.org/core/what-we-publish/open-access/the-history-manifesto. Manovich, L., Tifentale, A., Yazdani, M., & Chow, J. (2014). The exceptional and the everyday: 144 hours in Kiev. Retrieved July 28, 2018, from http://manovich.net/content/04-projects/084-kiev-article/sk219_1225.pdf. Pfister, E. (2017). „Wie es wirklich war.“ – Wider die Authentizitätsdebatte im digitalen Spiel. Arbeitskreis Geschichtswissenschaft und Digitale Spiele, 18 May 2018. Retrieved from https://gespielt.hypotheses.org/1334. Porsdam, H. (2011). Too much ‘digital’, too little ‘humanities’? An attempt to explain why many humanities scholars are reluctant converts to Digital Humanities. Retrieved July 28, 2018, from https://www.repository.cam.ac.uk/handle/1810/244642. Sauvé, L., Renaud, L., Kaufman, D., & Marquis, J.-S. (2007). 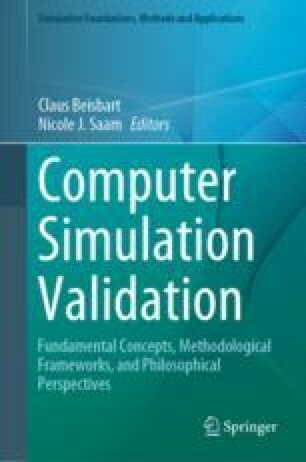 Distinguishing between games and simulations: A systematic review. Educational Technology & Society, 10(3), 247–256. Retrieved from http://www.ifets.info/journals/10_3/17.pdf. Schich, M. (2016). Personal Website. Retrieved from http://www.schich.info/research.htm. Sehsat: Global History Databank. (2017). Retrieved from http://seshatdatabank.info/. Turchin, P., Brennan, R., Currie, T., Feeney, K., François, P., Hoyer, D., et al. (2015). Sehsat: The Global History Databank. Cliodynamics, 6, 77–107. Retrieved from http://www.researchgate.net/publication/279849138. Turkel, W. J. (2008). Towards a computational history. Digital History Hacks (August 20, 2008). Retrieved from http://digitalhistoryhacks.blogspot.com/2008/07/towards-computational-history.html. Winnerling, T. (2017). Selbstversuch: Wenn zwei Historiker ein Spiel machen… Gespielt. Arbeitskreis für Geschichstwissenschaft und Digitale Spiele. Retrieved from http://gespielt.hypotheses.org/1231. Winnerling, T. (2018). Projekt Sumerian Game: Digitale Rekonstruktion eines Spiels als Simulation eines Modells. Gespielt: Arbeitskreis Geschichtswissenschaft und Digitale Spiele. Retrieved from https://gespielt.hypotheses.org/1796.